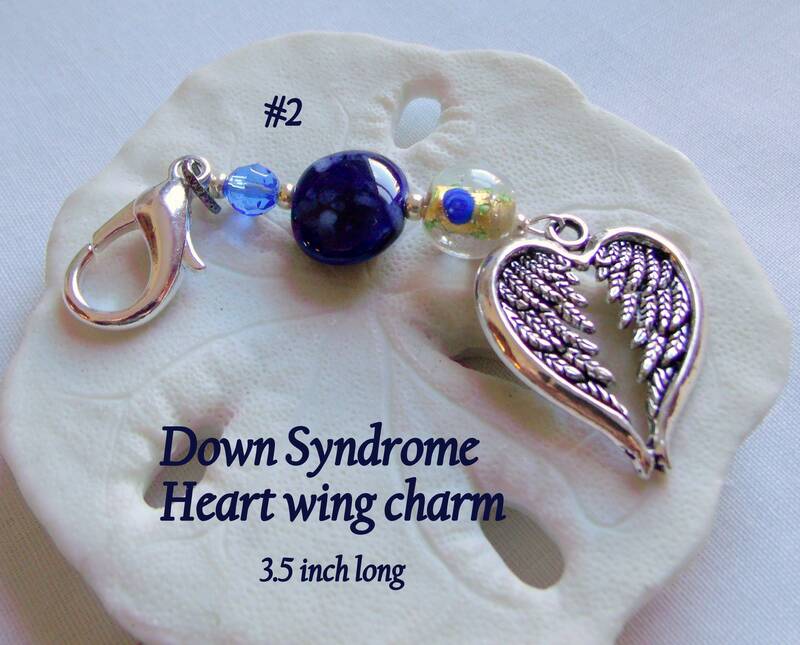 Lovely nursery ornament for your Down syndrome baby . 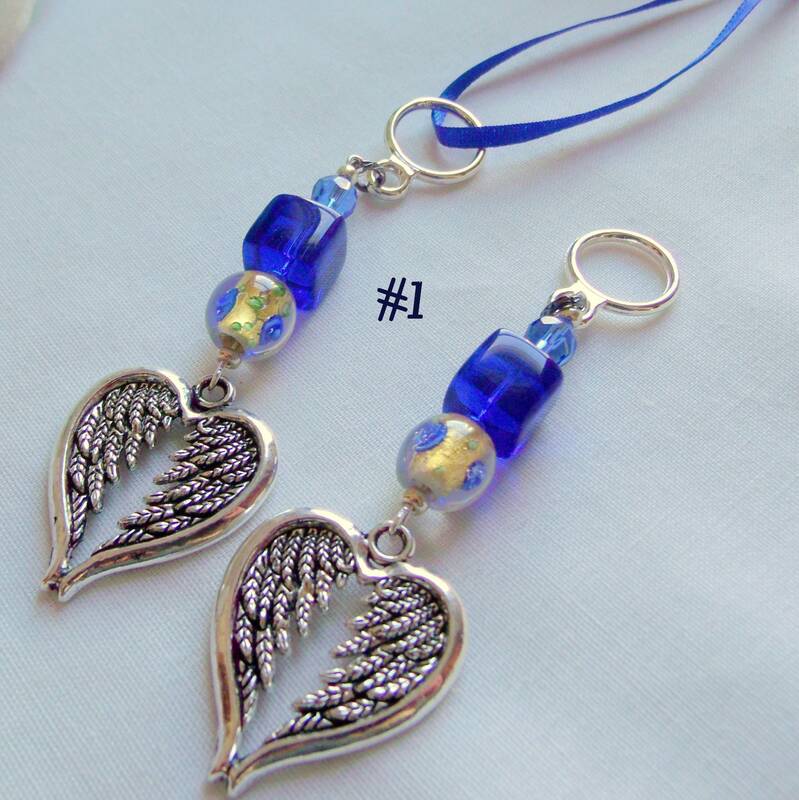 heart angel wing charms for protection and care. Support awareness and the new mom of this precious child. 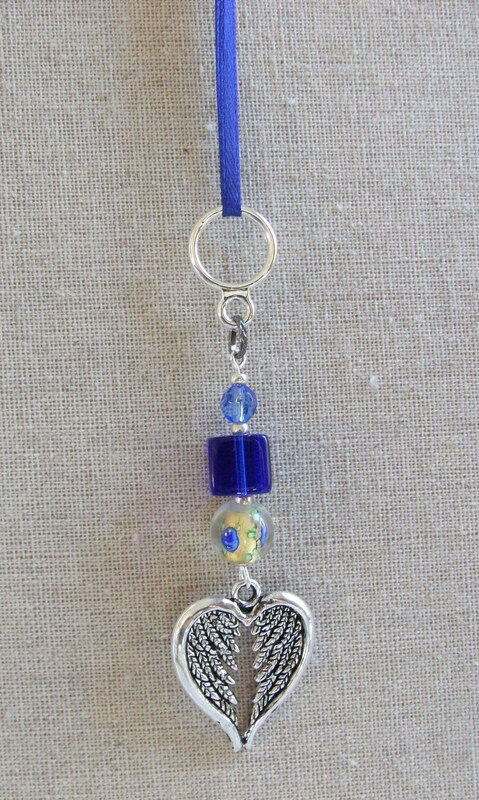 Can be used as ornament in nursery ,as car charm , add to diaper bag and purse as zipper pull.